That’s why you find Crown Batteries in heavy-duty equipment on- and off-highways all over the world. Throughout the railroad industry, moving freight efficiently to global markets. 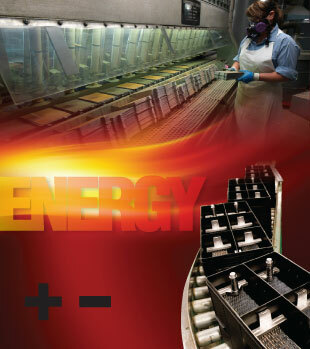 Our batteries are powering underground mining equipment in the Americas, Africa and Asia. They can be found in steel mills. In renewable energy installations around the world. In the recreational marine and automotive industries. And we’re reaching new heights in the aerial access equipment industry. Whether it’s floor care equipment at work in New York City or Tokyo…or an electric truck lift operating in Flint, Michigan…Crown Batteries can be found getting the work done. On time. In all critical applications.